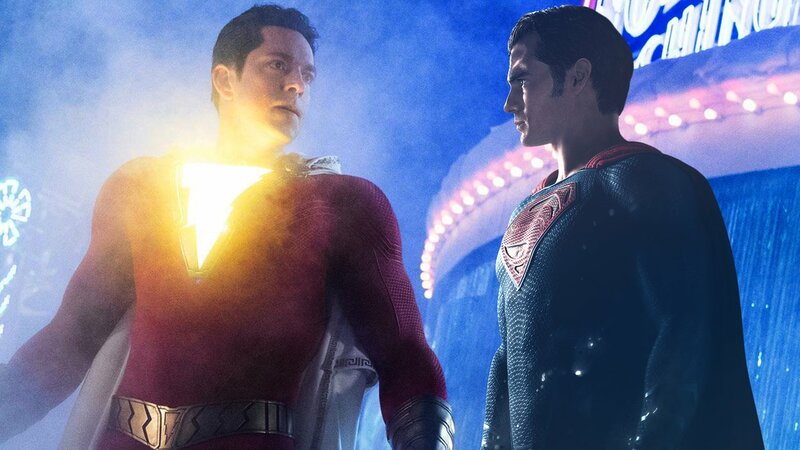 Is There A Superman Cameo In 'Shazam'? Shazam is out in theaters now, giving fans a new take on the DC Universe. The film had no shortage of name drops and Easter eggs to other superheroes, one very significant cameo hasn’t been too far away from fans. Shazam Is Out Now, But Do We See Superman? Shazam follows the life of Billy Batson, who’s a 14-year old kid. He gets granted superhero powers by a wizard. Over the film, Billy realised that he has these new abilities with the help of his superhero fan-boy foster home brother, Freddie Freeman. Apart from Dwayne Johnson’s Black Adam, one character that fans wanted to see was Henry Cavill’s Superman in the film. The two shared a great dynamic in the comics too. So if you’re wondering Superman turns up into Shazam, well we have some good news. Shazam’s many jokes involve the mention of Superman by Freddy Freeman who adores the Man of Steel along with other Justice League members. All of this pays off in a great way in the final scene of the film. Earlier in the movie, Freddy wanted to prove to his friends that he knows Shazam and promises to one day, eat lunch with him. However, Billy didn’t show up. After Billy alongside the Shazam family took down Dr Sivana, he keeps his promise to Freddy and shows up during the lunch. And well, not just that, he tells everyone that he has a friend too, as Superman comes in carrying a lunch tray. Superman, however, is only shown neck down, confirming that a body double was used to portray the role. Either this way, this would make many fans happy, considering the antics that led to the whole scene. Superman had been rumoured since long to do a cameo in Shazam but there were certain contract issues between Warner Bros and Henry Cavill. When it was later revealed that negotiations may go down well, fans started feeling excited. However, as stated earlier by the film’s cast, any role of Superman may have take the limelight off the main hero, Shazam, as it’s supposed to be only Billy’s story.